This page is about a few articles of Japanese clothing. Kimono- A traditional item of Japanese clothing for women is the kimono (as seen below.) Younger and unmarried women wear kimonos with wild patterns and colors, and older women wear simpler and more subdued kimonos. Zori Sandals- These are the flat-bottomed sandals Japanese men and women alike wear. They come in different materials and styles. 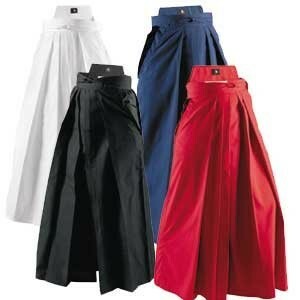 Hakama Pants- These pants are an outer garnment that are worn over the kimono. They either split between the legs as pants, or are as a skirt. Hakama pants originally were made to protect samurai's legs from brush while riding a horse.